Any return to running program is rarely a straight line. Returning to running after an injury is a frustrating process, there is little point in pretending otherwise. 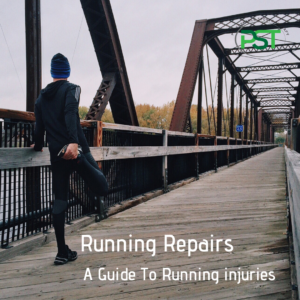 The injury now means you can’t run or can’t run as much as you would like to. On top of this, you have a rehab program to follow that all seem like a waste of time. The first step in speeding up the rehab process is to embrace it. Start looking at the rehab period as an opportunity to develop a more robust body and come back stronger and, potentially, faster. 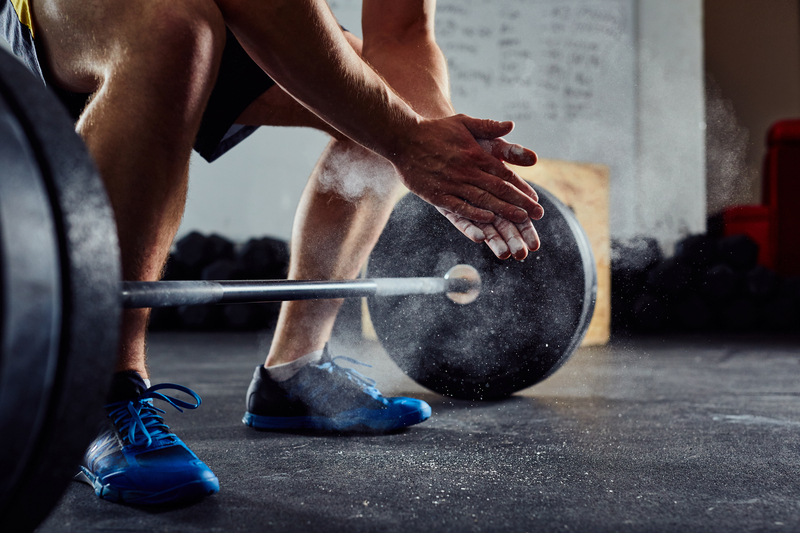 ANy good rehab program will contain some strength training component. This is a great chance to take advantage of something that many runners don’t bother with, namely strength training. I have gone over the advantages of strength training to runners in this post; Strength training for runners. But there are both performance and injury prevention benefits of including regular strength training in your program. In any return to running program, we need to replicate the peak loads involved in running. We build this form of robustness through strength training. Body weight options are great in the initial stages but eventually, there is a need for heavier loads. Beyond the initial stages, you need to be utilising loads of above 70% of 1 RM and above. This is because we can’t replicate the peak loads with body weight exercises. Remeber easy running generates peak loads of around 3x BW through each leg on ground contact. You need to use exercises like squats and deadlifts and lunges to truly get to the type of loading required. You can forget about the idea that machines aren’t functional too. There has been a lot of nonsense talked about what is and isn’t functional exercise. Suffice to say there are no exercises that aren’t functional. It is whether or not it is appropriate that is the issue. An example of an exercise that is thought of as non-function are leg extensions. Yet leg extensions are great when in dealing with patellofemoral pain. Where as single leg squats would be considered very functional but do not provide enough load to elicit the changes required. The next stage of the return to running program that is required to progress through is that of developing the ability to withstand the loading rates that occur when you are running. This is another chance to make use of a modality that is under utilised by runners. Once you have developed the strength in the injured area plyometrics can be implemented. Plyometrics allow for the type of loading rates that occur when you run but at a much reduced volume of foot strikes/contacts. That is you aren’t going to be doing 1000’s of them in a session, running has about 800/km. In a plyometric session you are going to be doing less than 100 to begin with, probably half that. 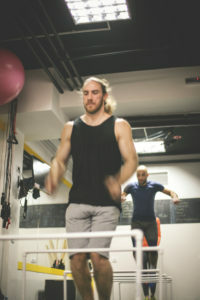 Plyometrics make use of single and multiple jumps, hops and bounds to improve your ability to generate force quickly. In the rehab process, we are making use of the type of loading that occurs in these jumps, hops, and bounds to prepare you for what happens when you are running. The use of plyometrics also has an added bonus. The development of the type of stiffness that is required to generate these forces quickly is an essential component of good running. Typically the ground contact phase last between 0.1-0.2 seconds. If there is any softness in the system this will create power leaks and the reaction time will be slower. A nice side benefit of using plyometrics is that you will be a more efficient runner. The stiffness that you learn to generate in the plyometric drills transfers well into running itself. This means that you do not suffer the type of power bleed that is a wasteful use of energy and potentially, overloads muscles and tendons over time. The final phase of the return to running program is the returning to running section. If there has needed to be a complete break from running then there needs to be a graded return to running itself. 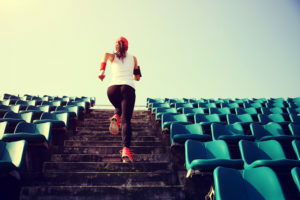 You should be doing minimum7500 steps per day before re-introducing running. This does not need to be done all in one go but it would be beneficial to be going out for a walk when you would normally be running. Nor does it need to be every day you would normally run. When running is reintroduced it should be in a run/walk format, to begin with. This might begin with combining 2 minutes of walking with 1 minute of running and gradually over 2 -3 weeks switching this around to 2 minutes of running and 1 minute of walking. The following weeks would see the running blocks built up to 10-15 minutes. On the days that you aren’t running then you would be making use of cycling, rowing etc to help maintain your fitness through the rehab period. Once up to multiple 15-minute chunks on the running sections then it is time to start back to running in a longer continuous block. In the return to running, the process is rarely a straight line. The lines I have outlined above will be blurred and the sections will/should over lap. In some cases, running will not be dropped out completely but reduced to a level that does not irritate the injured area. This might be a reduced frequency or the frequency might stay the same but distance run drops. Or it might be that you drop to the run walk section. This is all dependant on you and what your injury is. some stages may take longer than others or you might push too hard and need to take a step back again. All of this is simply part of the process of ensuring that you make a complete recovery. In all cases, the weight training and plyometrics should ideally be kept in the program to retain the benefits to be had from both. Next PostNext My glutes aren’t firing?